The lights on the front of the building indicate how clean the Thames is. Stare at the Thames and the murky brown, rushing water seems to remind you of its ignominious past. Declared biologically dead exactly 60 years ago, it still looks inhospitable to life. Today, life flourishes in its tidal currents; but short of bringing a science kit to the water's edge, how can you tell how clean the river is? 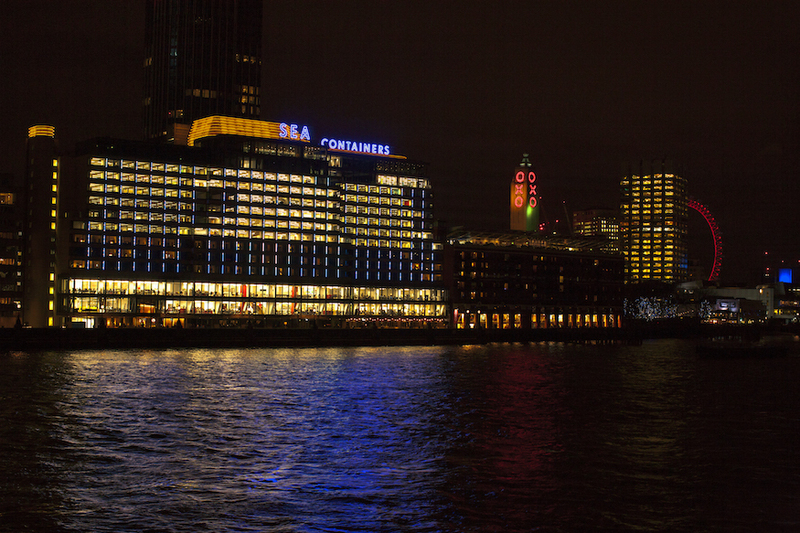 You can now find out thanks to a large-scale light artwork adorning the front of the Sea Containers building near Blackfriars Bridge. It provides a striking visual display of the health of the water flowing past, by using data from samples taken daily. Organised by river charity Thames21 and made by artist Jason Bruges, the artwork shows different displays according to whether the water quality is improving, declining, or stable compared with the previous day's data. The water quality updates are also posted on a regular Twitter feed and the Thames Pulse webpage, along with information about how to get involved with Thames21 projects. An accompanying 10-point manifesto includes advice to Londoners on how to keep the water healthy. Suggestions include not pouring detergents and other pollutants into rainwater drains in the road, buying reusable water bottles, which reduces reliance on plastic packaging, and disposing of plastic water bottles and other packaging responsibly.